Now you didn’t think I was going to leave you without a full game plan for Thanksgiving, did you? Tsk, tsk! I thought you knew me better than that, Friend! I would never leave you hanging- let alone on the most food-filled day of the year. Here are 10 (or more, why not?) recipes that will help your Thanksgiving meal be the envy of your friends and family. I’m renowned for my meat and cheese displays- I even won a prize for this one! 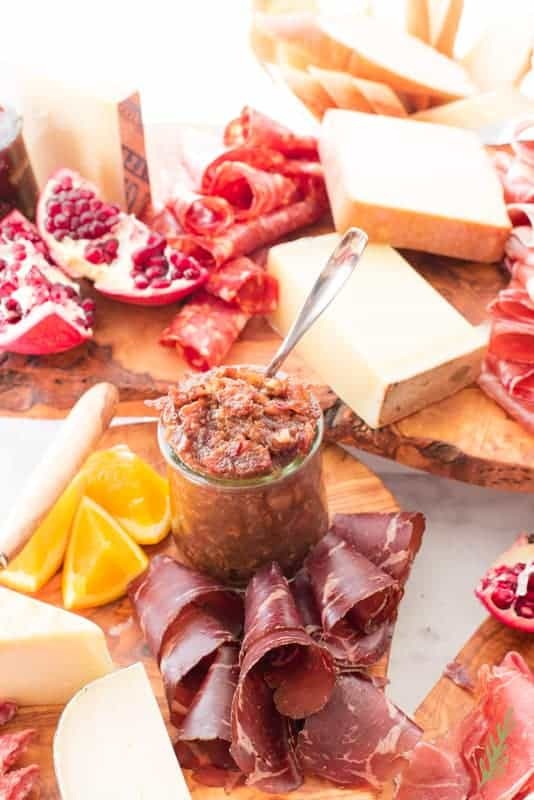 Holidays at the Riveras aren’t complete without a Charcuterie board. I have scaled it back here recently, however. Thanksgiving of 2016 I went overboard and no one had room left in their stomachs for the actual dinner. 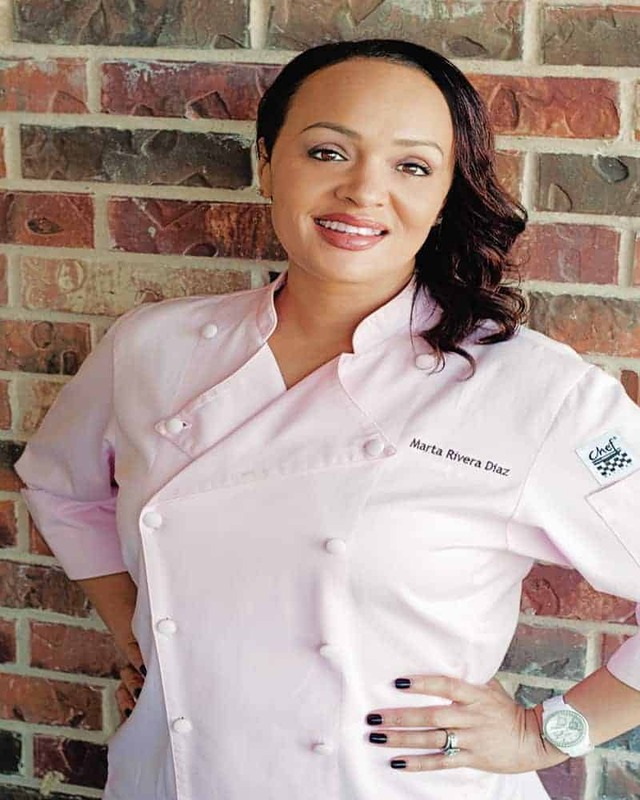 Gathering a bunch of your favorite deli meats, cheeses, dried fruits, and nuts are all you’ll need to do to pull off your version of this recipe. Here’s a great springboard to compiling your Charcuterie display. Here’s a great cutting board on which to display your wares, as well. Without exception, this Bacon-Bourbon Jam is the perfect accoutrement for your meat and cheese display. Serve it over melty brie, or as a topping for crackers, if you decide the charcuterie isn’t your thing. 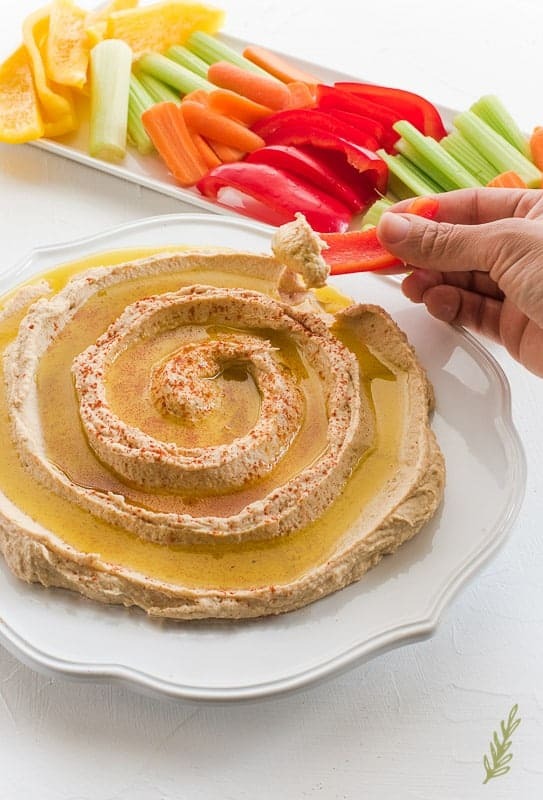 Middle Eastern Hummus may not be a traditional Thanksgiving appetizer, but it should be. As easy as it is to make, it’s the perfect starter for a frazzled cook. The fact that it can be made days in advance makes it my go-to for most of my gatherings. There is nothing better than greeting your guests at the door with a unique cocktail. 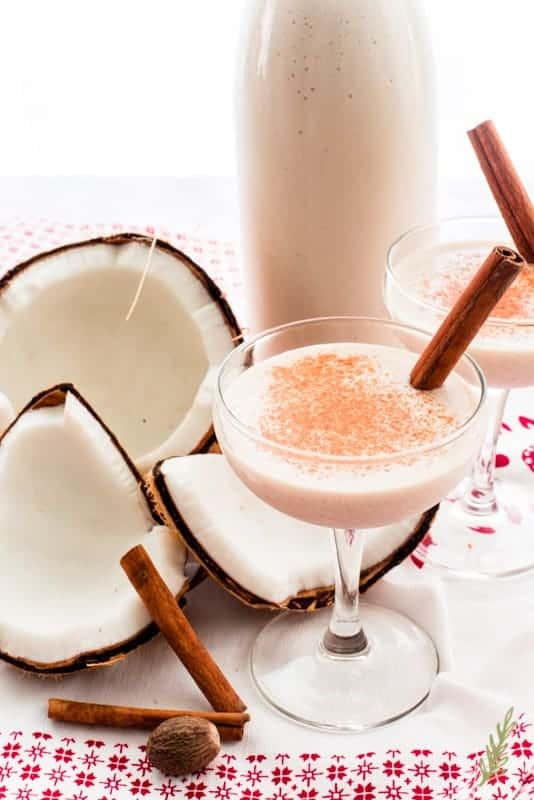 Well, if you’re Puerto Rican, this Coquito isn’t very exotic, but it is a welcomed piece of home. Because this libation is made in advance, which gives the rum time to mellow out, it also makes it perfect for hectic holiday hosting. You can also pour it into cute bottles for giving as gifts for the holidays. We’re halfway to our number 10 recipe…but don’t count on me giving you only 10. You know how extra I can be. 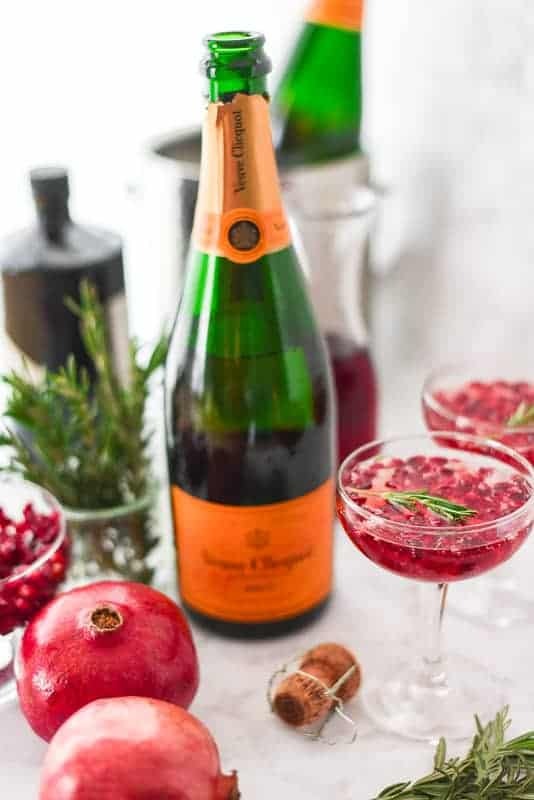 Pitcher cocktails, like this Pomegranate-Rosemary Champagne Sparkler, are great for crowds. Mix the flavored simple syrup up to a week in advance, and on Turkey Day, float the champagne over it. No need to fuss at the bar, either- set up a cocktail-making station and let your guests serve themselves! 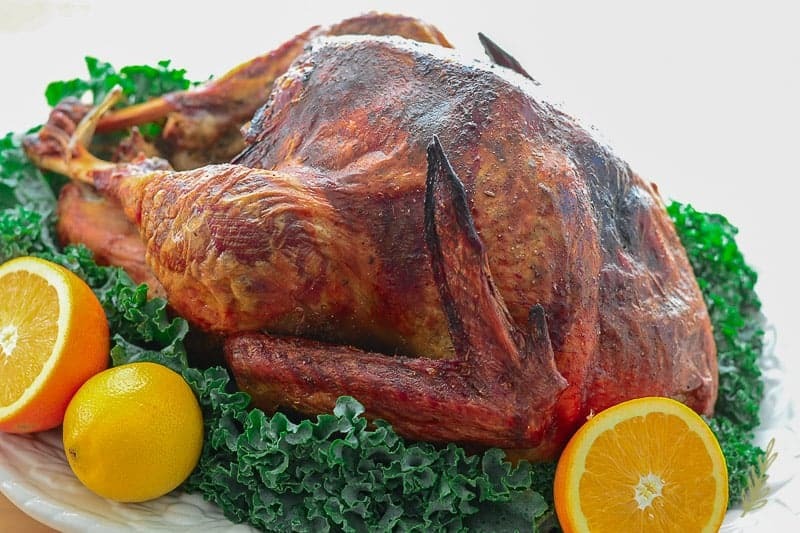 Dry-brine your turkey this year. Not only will it save you from the hassle of a wet brine, it’ll ensure your bird is juicy and well-flavored. Remember that for every 5 pounds, you’ll need 24 hours of thaw time. Don’t get stuck wasting water trying to thaw your turkey at the last minute! Check out this cute platter to serve your bird on too! Because we like to stick to tradition (meaning: we’re greedy and take full-on advantage of my being bi-racial), Pernil, or Roasted Pork Shoulder, is always served at holiday dinners. 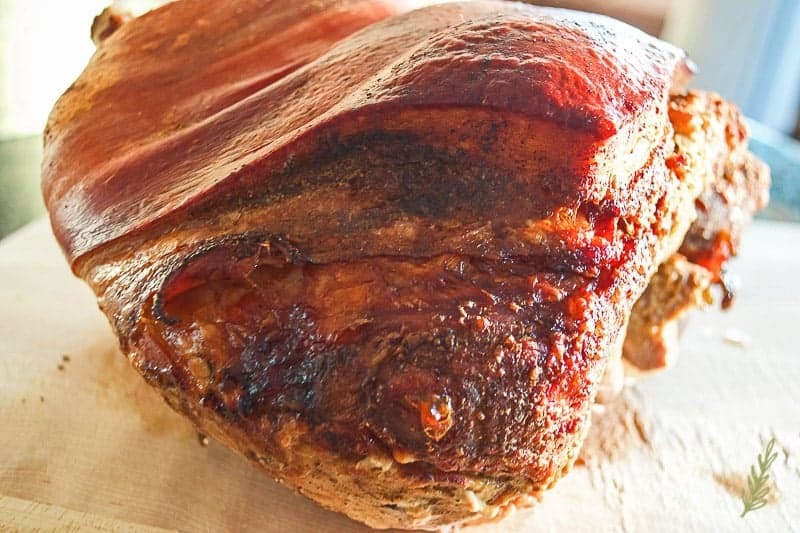 Marinate your pork shoulder anywhere from 1 to 3 days for maximum flavor. Be prepared, though, to fight over the über-crunchy crackling! Booze and spiced- kind of like me! As with most of the other recipes, this one is a make-ahead dish. 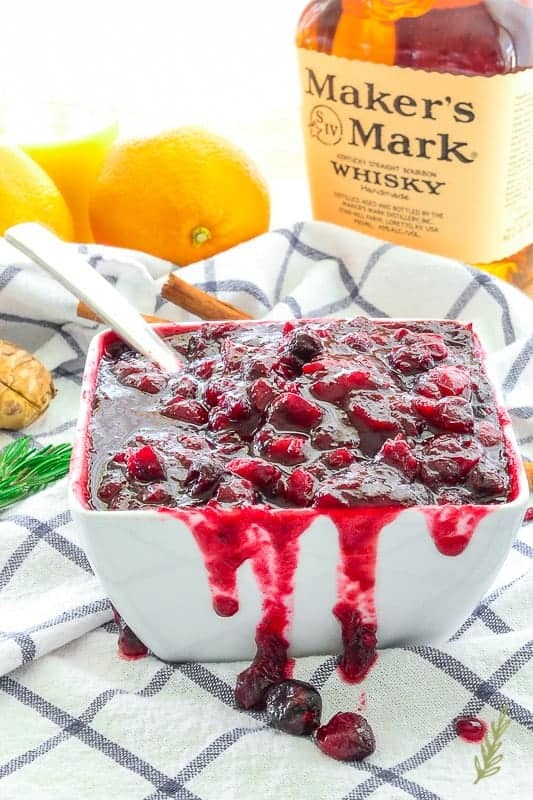 Prepare this Boozy, Spiced Cranberry Sauce up to a week in advance and have it ready for the big day. This sauce is another one of those recipes that goes fast, so be sure to make enough! What other friend of yours provides you with so many wholesome recipes that will alleviate your Thanksgiving stress? Zero, that’s how many! No one loves you as much as I do! Remember that. 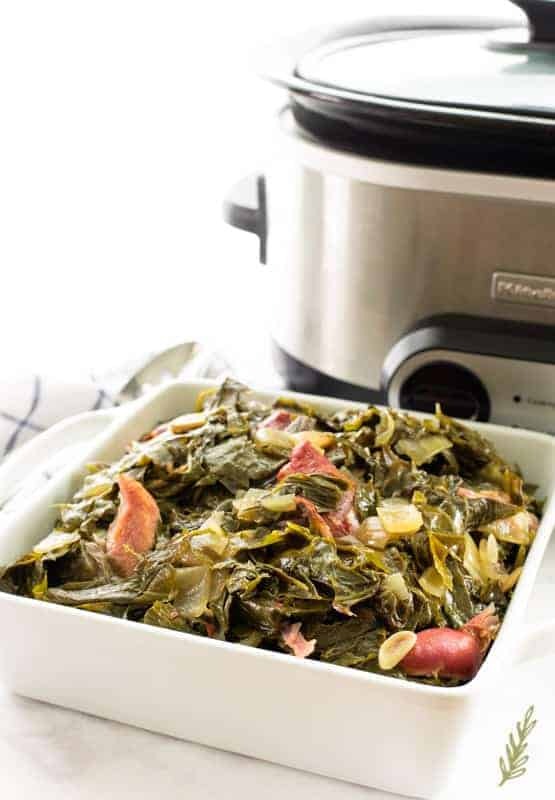 Throw these Country Style Collard Greens into the slow cooker early Thursday morning. Once you’ve set them to simmering, you’ll not have to worry about them for another 8 to 9 hours. That means you can focus on more labor-intensive recipes. Plot twist! You can make them this weekend, bag and freeze them, then on Thursday warm them for a few hours in the slow cooker. WHAT!?!?! Who loves you, Baby? Okay, so this is technically number 10, but I’m on a roll. Make. A. Head. Seriously, I’m the best friend in the whole wide-world. 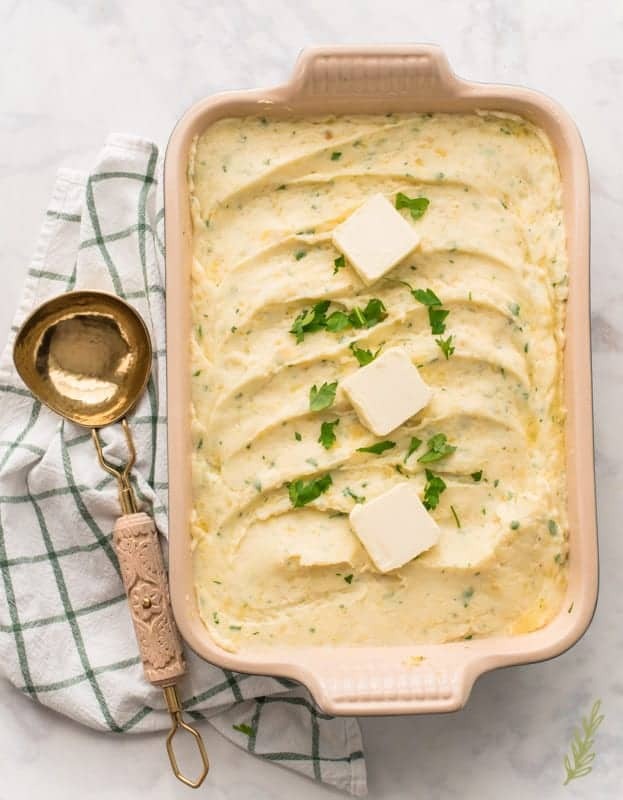 Make these Rustic and Rich Baked Mashed Potatoes the evening before while you’re sipping on your coquito. Put them in the fridge and on Thanksgiving, heat them until they’re warmed through. Done and done. The baker in me is cringing at the thought of having to choose only a couple of desserts, but, of course! I may as well choose which of the twins is my favorite, while I’m at it. I went with classic Thanksgiving desserts this time around. 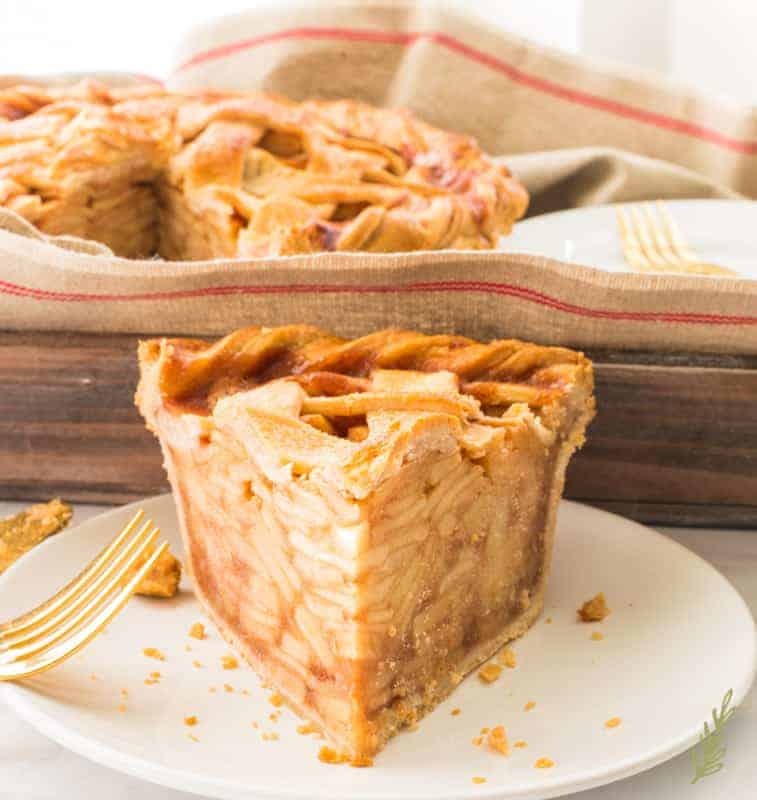 For starters, we have the quintessential North American Cinnamon-Apple Pie with a Lattice Crust. Make this the day before and leave it out on the countertop (covered by a cloche). You’ll have a beautiful dessert with a crisp, flaky crust already to slice and serve. 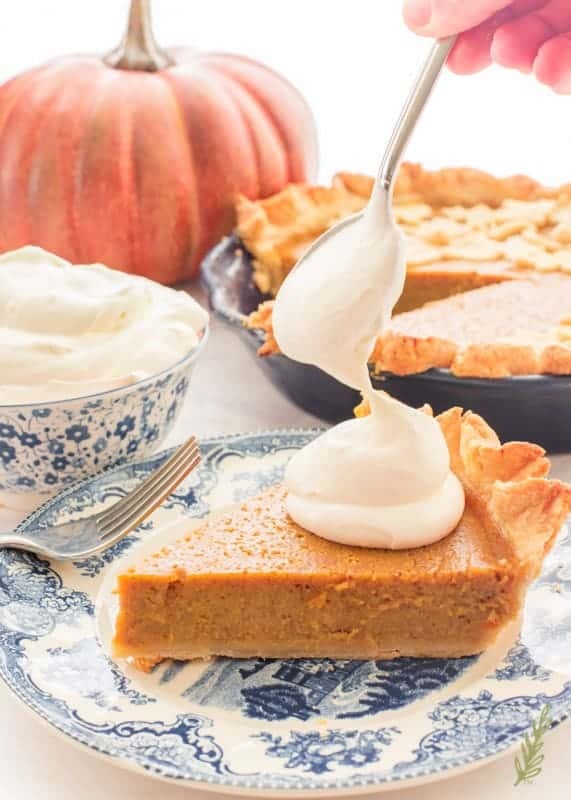 You certainly can’t go wrong with easy-to-make pies like this Perfectly Easy Pumpkin Pie! The name says it all. Mix the custard and bake the pie! As they say in the Army: “TOO EASY!” Bake this a day prior to Turkey Day and store it in the fridge. No need to buy those pies-in-a-box when you have something this beautiful and tasty! I know this one’s name is a mouthful, but I needed to get all the deliciousness across to you. 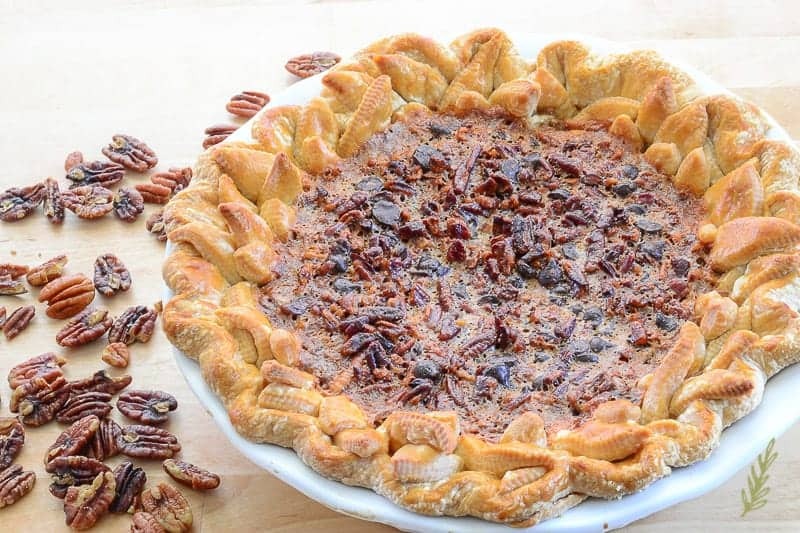 Maple-Bourbon Chocolate Pecan Pie is a stellar way to end your Thanksgiving meal. This is another recipe that you can make ahead if you need to. Prepare it a day in advance and hold it in the fridge until you’re ready to wow your guests! More than 10, but who’s counting? I’m not, that’s for sure. There you have your Thanksgiving meal plan all ready to go! If you’re feeding a large crowd (like I am), go ahead and pick up your turkey or pernil today. My 26 pound turkey needs to start thawing today in order for me to brine it the day before. Be sure to prepare as much in advance as possible. Afterwards, you can sit back and chill- you know, actually enjoy Thanksgiving and your guests? Novel idea, that. Pin this 10 recipe meal plan for the coming days so you’re more than prepared for your holiday celebrations! 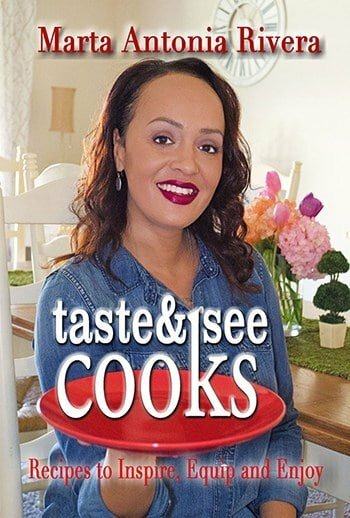 These recipes have me drooling!!!! I don’t have our menu all put together yet, so this helps. 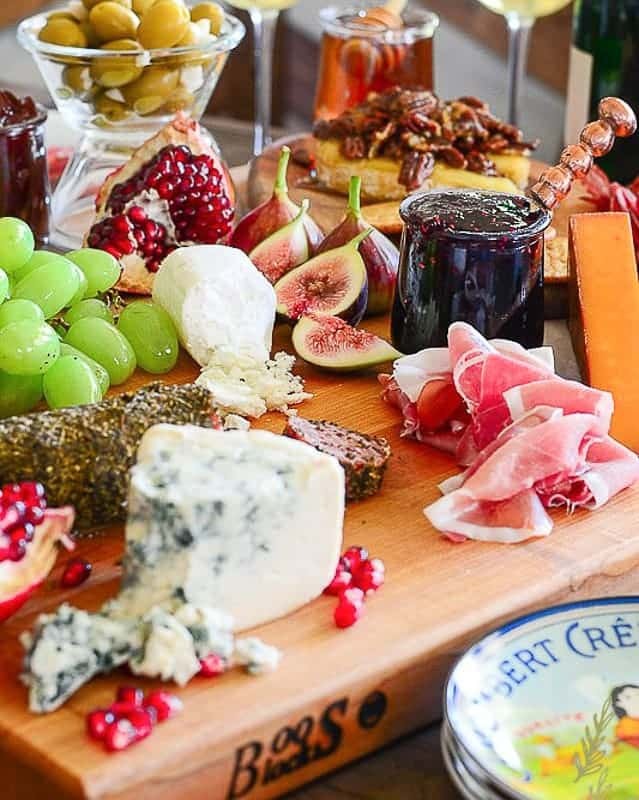 And we always love a good cheese board! Cheese boards are life, aren’t they, Tabitha?! I hope you have a fantastic Thanksgiving! This is a beautiful Thanksgiving spread. We are Italian and do an Italian menu, but it all looks delicious. Italian sounds good! I love that you hold to tradition, Chelsea! This is a perfect spread for the day! I love how you managed to use traditional dishes but made them very elegant. I’d love to be at this table! Yes, Jen! I love putting my spin on the classic holiday recipes. Can I just come to your house for Thanksgiving?! lol I can’t find one thing here that myself or my family wouldn’t gobble up in an instant! Come on over, Corinne! There’s always room for one more! All of these recipes look so good! I love the Bacon-Bourbon Jam and the delicious looking cocktails. Thanks, Sharon! They’re just a handful of my favorites. Enjoy your Thanksgiving! I’m planning to start my prep this weekend. Each recipe sounds so good, kind of gutted that we don’t do thanksgiving in Italy! You should start your own version, Mimi! I think it would be fun! Only if I can join you, Belle! I’m just going to be honest here. If you invite me to your Thanksgiving I’ll absolutely tell my family I’ll see them next year. Well, Jordan, let’s be really, really honest: I’d invite your whole family so you wouldn’t have to leave them, LOL! !